Rent tents, tables, chairs, linens, china, catering equipment, dance floors, candelabras & more! If you are looking for the right tent rental company for your next special event or wedding, look no further! Whether it's tables or chairs, we'll provide you with the best rental equipment and excellent service. Thank you for visiting Mt. Pleasant Rental / Party's Plus one of Mid-Michigan's event rental leaders. Whether you are planning a Wedding, Reception, Bridal Shower, Baby Shower, Catered Affair, Corporate Event, Theme Party, Neighborhood Festival, Birthday Party, or a Backyard Graduation, you have come to the right place for all your rental services. We are also the largest retailer in the area for all your bridal accessories, decorations, balloons, and paper products. We follow the trends and can make any party look fabulous. 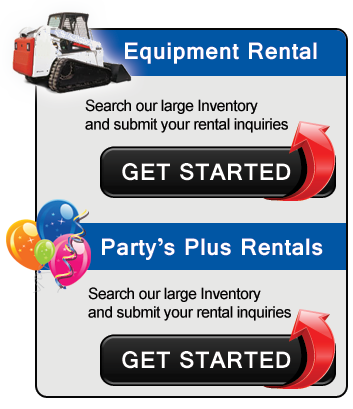 Party's Plus has all the rental equipment and decorations you need to make your party complete. Rent tents, tables, chairs, linens, china, catering equipment, dance floors, chocolate fountains, candelabras & candle holders, grills, pig roasters, inflatable jump houses, dunk tanks, portable restrooms, and the list goes on. Party's Plus is also your “One Stop Party Shop” for all your decorations and paper products. You can complete your party with our expansive inventory of birthday decorations, theme decorations (aloha, western, Vegas, Hollywood, Mardi Gras, patriotic, rock-n-roll, disco), bridal shower decorations, bachelorette decorations, baby shower decorations, balloons, decorative & solid color plates and napkins, bridal accessories (cake tops, toasting glasses, guest books & pens, garters, ring pillows), Invitations and much more! Mt. Pleasant Rental Center is proud to provide rental equipment to the Mid-Michigan area. We offer quality tool rentals at reasonable rates. Mt. Pleasant Rental Center offers construction equipment and home improvement tools to assist our customers with any project. Our professional staff is dedicated to providing excellent service and highly maintained tools for the homeowner and contractor. We carry state of the art equipment from such brands as Bobcat, Ditch Witch, Honda, Bosch, and Stihl. You can trust in our expertise-our family owned business has been serving Mid-Michigan since 1978. If you have a job to do we have the right tool for you. Save time and money by renting! Please browse our online catalog or stop in and visit our showroom to see all that we have to offer. Our vast inventory has items such as: chain saws, wood chippers, stump grinders, tractors, mini-excavators, bobcat loaders, trenchers, compressors, portable toilets, aerial lifts, lawn and garden equipment, trucks, trailers, carpet cleaners, nail guns, and concrete equipment, just to name a few. 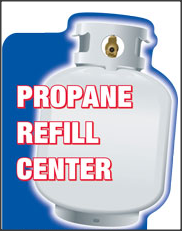 We also sell propane, moving supplies, safety supplies, and more. Go ahead; take the scenic route on one-way moves! We're ready when you are! Lots of options and expert help choosing what's right. 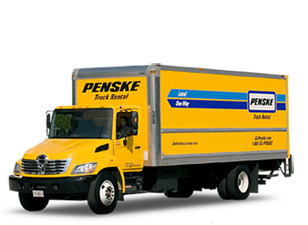 Let Mount Pleasant Rental help you move!